Address: 7621 Pécs, Káptalan u. 2. 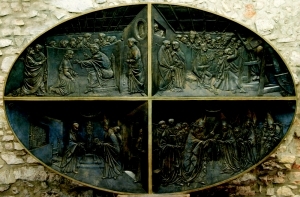 Amerigo Tot (1909-1984), a Hungarian sculptor who moved to Italy in 1937, presented Pécs with Baptism (1938), Madonna of Csurgó (1968/1980), Cross as protest (1969), Still life in Transylvania (1980), all of which together give on overview of the oeuvre.